I suggest you get to know farmers within a 25-mile radius of your house. … You can meet them at your local farmer’s market. Ask if you can visit their farm, and go out and check out their chicken coops. If they say no, that’s a red flag. My egg farmer lives two blocks away, and I can see his wonderful chickens hanging out in his backyard. You can also look into community supported agriculture, and have all your eggs delivered to your door from one farmer you trust. 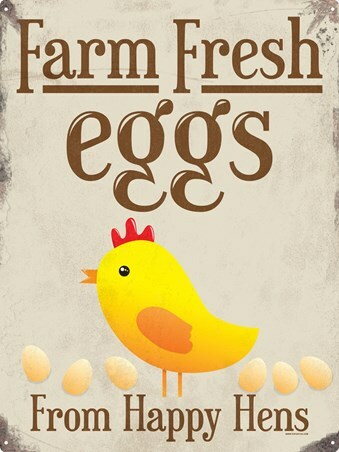 Or here’s an idea: buy your own chickens and a coop, and collect your own fresh eggs every day. The author lives in a bubble. A privileged bubble. This entry was posted in Uncategorized on June 6, 2017 by Bix. There’s no such thing as humanely-raised in the chicken industry. Just ask what happens to all the male chicks. 1. Discussing whether egg-eating is healthful for humans at all. 2. Discussing how to improve the quality of the eggs and chickens that *everyone* eats. The 5 million people with Alzheimer’s disease are not vising their local egg farmer.